The peculiar circumstances: the husband might become a slave of his children. In the 1850 census of Greensboro, Guilford County: Horace H. Henderson, 40, barber, and wife Love, 39, both born in Fayetteville; children James, 18, farmer, Mary Ann, 17, and Timothy, 14, born in Raleigh; and Albert, 10, Sarah, 8, Thomas, 4, and Alexander, 3, born in Greensboro; all mulatto. Edward J. & Susan Henderson Wynn. 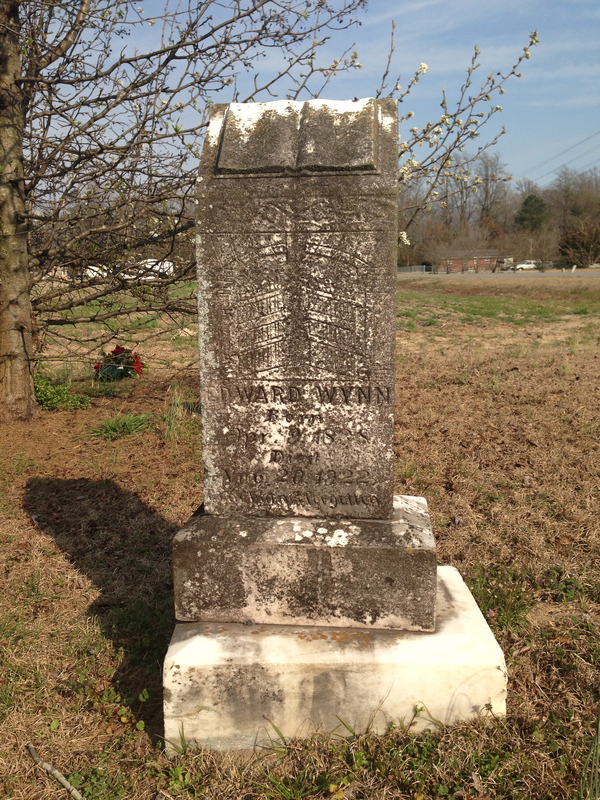 EDWARD JAMES WINN (1838-1922) was the son of Gray Winn and Sarah “Sallie” Greenfield Winn. His wife, SUSAN HENDERSON WYNN (1854-1907), was the daughter of James Henderson and Louisa Armwood Henderson. They are buried in a small family cemetery near Dudley in southern Wayne County. In the 1850 census of South Side of the Neuse, Wayne County: Sally Winn, 30, and children Betsey, 14, Edw’d J., 12, Eliza, 10, Penny, 6, Ally, 4, and Washington, 1. In the 1860 census of Westbrooks, Sampson County: James Henderson, 52, wife Eliza, 25, and children Anna J., 8, Susan, 6, Hepsie, 4, and Alexander, 1. In the 1850 census of Upper Richlands, Onslow County: brothers Lewis Skipp, 16, and James Skipp, 10, both mulatto, in the household of white farmer Stephen Humphrey. In the 1860 census of Westbrooks, Sampson County: Lewis Henderson, 25, wife Margaret, 26, and children Lewis S., 4, James L., 3, and Isabella J., 4 months. Also, James Henderson, 22, in the household of white farmer Lewis C. King. Lewis Henderson and James Henderson were the oldest sons of James Henderson, born about 1815 in Onslow County. Skipp may have been their mother’s surname. 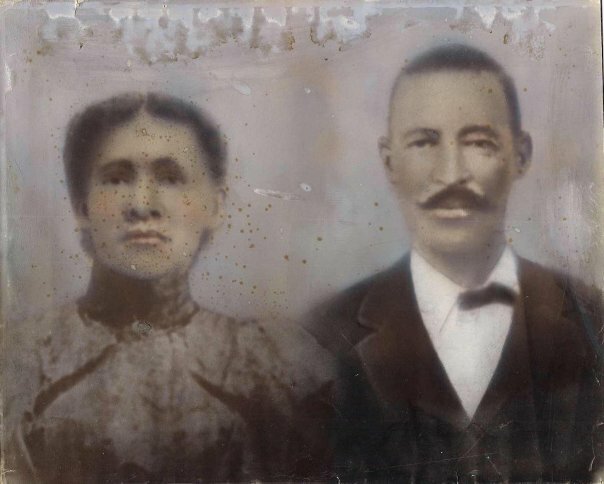 John and Sarah Simmons Henderson. JOHN HENRY HENDERSON and wife SARAH ELIZABETH SIMMONS HENDERSON. John was born in 1860 in Sampson County to James and Eliza Armwood Henderson. 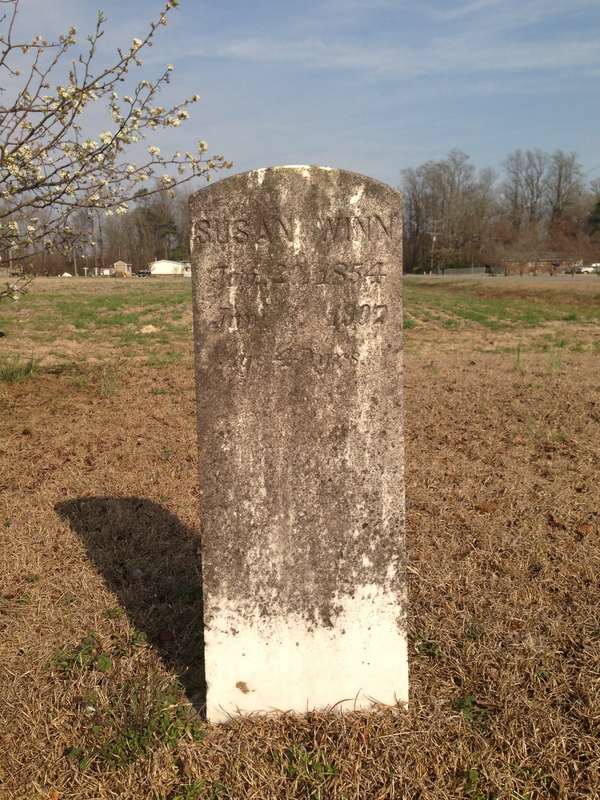 Sarah was born about 1868 to Bryant and Elizabeth Wynn Simmons. Both died near Dudley, Wayne County. Marguriet Henderson. Died 17 July 1915, Brogden, Wayne County. Black. Age 82. Born Sampson County to an unknown father and Margaret Bowkin. Informant, Lucian Henderson. Alex’r Henderson. Died 13 June 1916, Goldsboro, Wayne County. Colored. Married. Age 56. Born Wayne County to Stephen Henderson and unknown mother. Buried Elmwood cemetery. Informant, Mary Henderson. Lution Henderson. Died 22 June 1934, Brogden, Wayne County. Colored. Married to Susan Henderson. Age 75 years, 3 months. Farmer. Born Wayne County to Louis Henderson of Wayne County and Maggie Hill of Sampson County. Informant, Jonnie Carter, Dudley. John Henderson. Died 8 August 1924, Goldsboro, Wayne County. Colored. Married. Age 63. Farmer. Born Sampson County to James Henderson of Onslow County and [blank] Armwood of Sampson County. Buried Dudley NC. Informant, Sarrah Henderson.